After a five year delay with no iconic performance GT-R model, Nissan has blown everyone away with their new 2008 model R35. 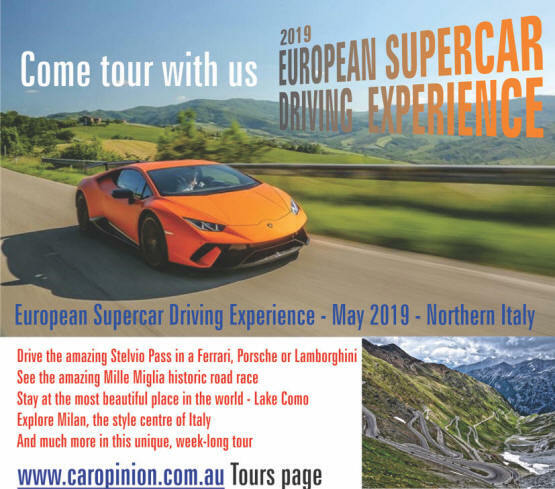 This car is a technical tour de force, and performs so astoundingly well, at such a relatively low price, that it will force companies like Porsche to have a serious re-evaluation of their own cars. 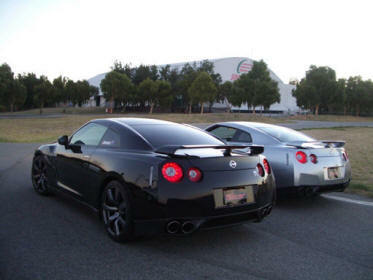 A drive of the latest weapon from the GT-R stable showed how potent the new car is... It feels harsh, clunky and very much the competition car environment, that's a part of the intrinsic nature of the new car. While previous models (we had R32, R33 and R34 on hand to test back to back at the Speed Dome venue) were based on everyday semi-luxury family cars, the newest iteration of GT-R is a purebred performance machine. With quoted 0-100 acceleration times in the mid-4 second range the acceleration is certainly impressive - and very enjoyable. The automated manual gearchange, even though I'm not a great fan of them - suits this car's character perfectly and is amazingly efficient. It's quick, precise and effective. Pretty much like the whole car. Even in automatic mode punting the R35 around Perth's Speed Dome was exhilarating. The technological features of this car are mind boggling, and without doubt would be beyond the need or scope of any owner. Want to know the tyre pressures? Just hit the voice recognition button and call out "Tyres" and a readout for each tyre appears on the dash centre screen. There's plenty of Big Brother stuff in these cars too. 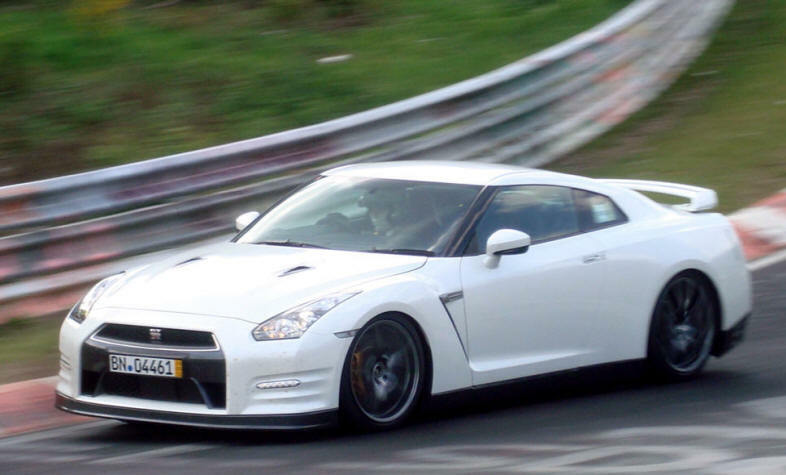 In Japan (the only market where the car is available at present), if you take your car to a race track, the GPS will log the information back at Nissan's GT-R headquarters and if you don't follow up your track testing time with a factory approved service, your warranty can be voided. The styling is very much in the modern Nissan sports idiom, yet it retains enough of the Skyline DNA to be recognizably a GT-R. There are certainly plenty of detail items both inside and out which grab your attention. The finish, especially in the interior is a quantum leap forward over the R34. It's a car in which even an experienced and competent driver can feel very inadequate, so high are it's levels of capability. OK, while it was great fun at the Speed Dome in Perth, it's really a car to take for a few laps of the Nurburgring. Well, here's one I photographed at the Nurburgring - in its natural habitat.